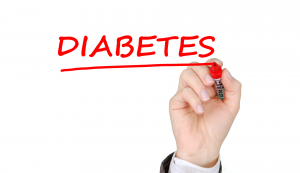 Pharmacy can help reverse type 2 diabetes. All Pharmacists are clinical by right of qualification, and are not just glorified shop-keepers. Now is the time for pharmacists to demonstrate their clinical knowledge through their ever-increasing role in services provision, reducing their mainly dispensing role. Pharmacists can do better than just piggy-back the roles of other healthcare professionals, such as offering flu vaccinations, and instead fully utilise their clinical expertise. Pharmacy, as a highly accessible healthcare provider of both public and private services, is in an ideal position to help tackle many common medical conditions. Type 2 diabetes is rightly positioned high on the list of treatable diseases by the healthcare system and pharmacists can make significant clinical outcomes in this field. True weight loss is not benign. The interventions made to achieve weight loss, and the interpretation of the effect these weight losses have on each patient’s medication and health status, can rest safely and securely on the shoulders of pharmacists. Type 2 diabetes is commonly the disease of the overweight, often going undiagnosed, and causing serious long term medical issues for those affected. Type 2 diabetes drains healthcare resources, causing considerable cost to the health services. Using a long established, evidence based weight management programme such as Lipotrim, pharmacists can utilise their high level of education and training to make a real difference to their local diabetic population. 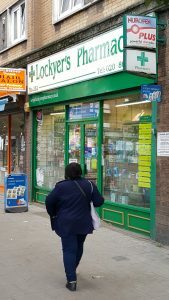 Pharmacy has used the weight loss, associated with the Lipotrim weight management programme, to force type 2 diabetes into remission for over 17 years. The results from these pharmacist’s efforts will not only have improved the quality of their patients’ lives, but likely prevented many diabetes related deaths, and saved valuable health service money too. Our healthcare systems are under pressure and could benefit from the redistribution of funds towards difficult to treat conditions. The Lipotrim pharmacy programme could help deliver these changes if adopted as a routine treatment for many people with, or at risk of getting type 2 diabetes. often cited as being either through the body not producing enough insulin or the body being resistant to, or being less sensitive to insulin. It is now known that Metabolic syndrome, and especially Hyperinsulinemia, may well be a contributory factor not only in type 2 diabetes but in the ability of a successful dieter to maintain their weight post weight-loss. The excessive levels of circulating insulin (hyperinsulinemia) increases insulin resistance further and plays a role in obesity related hypertension. The effects of hyperinsulinemia are not confined to obesity since if the excess weight is lost, the still-elevated insulin levels, above normal, make weight maintenance difficult. With many dieters reported to regain at least some weight post weight-loss, irrespective of the diet method employed, this issue is highly relevant. The Lipotrim maintenance programme addresses hyperinsulinemia directly through the use of high soluble fibre formula foods to help control insulin levels throughout the day. Insulin is a hormone which helps regulate the level of glucose in the body. Type 2 diabetics, suffering from impaired insulin function or sensitivity, suffer long term raised levels of blood glucose. Back in 2015, Diabetes UK reported that there were 135 foot amputations carried out per week in England. This figure equates to over 7000 foot amputations per year and is predicted to increase each year. It is upsetting that a majority of these may be preventable by such a simple measure of losing weight. How many people suffer from type 2 diabetes? Diabetes in the UK is known to affect over 3.5 million people, with 90% diagnosed with type 2 diabetes. Rising levels of diagnosed type 2 diabetes, and the potential for many more being undiagnosed (possibly in the region of another half a million people ¹), means it is imperative we all attempt to stop and reverse the trend now, especially by those in healthcare professions. Obesity is responsible for at least 80% to 85% of the overall risk of developing type 2 diabetes ¹ yet the mainstay of medical treatment is to suppress the blood glucose levels by using drugs at a great cost to the healthcare system. The ultimate progression of the disease, if the obesity is not reversed, requires escalating potency and amount of medication at a further cost. The simple reality of; remove the excess weight, remove the diabetes is often ignored, as seen already through the statement that diabetes is “lifelong”. Healthcare systems are haemorrhaging money, yet weight loss alone can usually force type 2 diabetes into remission. The patient funded Lipotrim pharmacy weight management model fits perfectly as a tool to prevent and treat obesity related type 2 diabetes. What is wrong with eating less and exercising more? Why are we seeing a rise in obesity and type 2 diabetes if current weight loss advice is working? One of the main reasons for failure, using traditional diet methods, is that food is great. Food plays a huge part in all of our lives, from dealing with stress to social acceptance. Food also makes us crave more. For those attempting to lose considerable weight, this innate draw to get food when it is restricted, and the prolonged timescale needed to achieve success, ultimately wins. The result is little or no weight loss. Exercise is less effective still, if looked at as a weight loss tool in isolation. It takes approximately 35miles of exercise to burn the equivalent amount of energy contained in one pound of body fat. The level of exercise to achieve meaningful weight loss is astronomical, and unlikely to be adhered to or comfortable for a seriously overweight person. Exercise is good for the heart and lungs. It results in better blood sugar control, which is a positive for type 2 diabetics but not enough on its own to reverse the long term effect of diabetes. It is also essential for re-enforcing the lifestyle change required to maintain weight post weight loss. It is often missed that weight loss itself will enable increased levels of exercise, previously deemed too uncomfortable or even unsafe if seriously overweight. Co-existing medical conditions such as those common with type 2 diabetes, often makes meaningful exercise, at levels resulting in true weight loss, quite difficult to achieve. The traditional methods of dieting, as described above, will not force diabetic remission until significant weight loss is achieved. Remission therefore appears to be an impossible task. Attempting to reduce the intake of food, whilst also trying to maintain normal blood glucose levels, is complicated and daunting. The side effects, especially on the stomach, of diabetic drugs inhibits the ability and desire to reduce food intake. The reliance on diabetic medication to suppress the diabetes, irrespective of the desire to lose weight, provides a “comfort cushion” and a reluctance to address the root cause; weight. Lipotrim, a Very Low Calorie Diet (VLCD), is a total food replacement programme only available through pharmacists and healthcare professionals. The patient swaps ALL of their conventional food for specially formulated, nutritionally complete formula foods. The formulas provide optimal nutrition in the minimum number of calories. Maintaining nutritional status is crucial to the patients’ health and comfort whilst allowing the body to draw on its reserves for its energy requirements, otherwise known as calories. An intake of between 2 to 4 litres of water, plus optional black tea and black coffee ensures adequate hydration levels. A resulting ketosis allows for a comfortable, safe, consistent weight loss of around a stone a month for females, and a stone and a half for males per month. An added benefit of ketosis is the blunting of hunger levels throughout the weight loss phase. How does Lipotrim help force the remission of type 2 diabetes? The issue for type 2 diabetics is the likelihood of carrying considerable levels of excess weight. The added consideration is that the insulin, although being produced, is not functioning correctly or the body is resisting its effect. The diabetic is consequently medicated to either increase the production or effectiveness of the insulin in the body, or force the glucose out of the body via the urine. The Lipotrim total food replacement programme works and it works quickly. It is unlike most other diets. Do not presume you understand the programme by assuming it works in a similar way to traditional dieting methods. A type 2 diabetic must have the consent of the GP (in writing) before they can participate in the Lipotrim programme, unless they are diet-controlled or solely taking metformin. The rapid normalisation of blood glucose levels occurs within the first week of the Lipotrim weight loss phase. This requires the stopping of all diabetic medications capable of producing hypoglycaemia on starting the programme. It is important, so I’ll repeat it…..
A type 2 diabetic must have the consent of the GP (in writing) before they can participate in the Lipotrim programme unless they are diet-controlled or solely taking metformin. Lipotrim formulas achieve a state of “mild dietary ketosis” (not ketoacidosis) which, for the general participant, helps to maintain comfort, safety and blunts hunger levels. All are very important for a dieter. For a type 2 diabetic this also, and very importantly, means a quick normalization of blood glucose levels. The formula foods are designed to maintain nutritional status, whilst the body uses energy from its reserves, firstly from what isn’t used as essential building blocks from the formulas, then from the body’s sugar reserves, glycogen. The human body generally holds enough glycogen, to act as a readily available back-up energy source, for around 3 days. Once the body has exhausted the glycogen it is then forced to turn to the fat reserves. If the diet is maintained fully, the resulting mild ketosis produces a sense of comfort, blunting of hunger and liberation from the drive for food. The body is essentially living off ketones, rather than glucose, for its source of energy. All human cells can safely utilise ketones as an alternative energy source to the usual glucose, except cancer cells. Ketones, unlike glucose, do not rely on insulin to get into and fuel the body’s cells. Ketones replace glucose as the body’s fuel source and so the prescribed diabetic medications are not required. The blood glucose levels remain at a normal range with glucose being provided by a combination of the Lipotrim formula foods and from the breakdown of triglycerides released from the fat cells. What is the conclusion? Can Pharmacy help reduce the levels of type 2 diabetes? The DIRECT study being conducted at Newcastle University is confirming the extensive knowledge base that rapid, controlled weight loss can force diabetes remission. Using a successful weight management programme, such as Lipotrim, weight loss can be looked at as a viable method of preventing and reversing type 2 diabetes. Lipotrim is therefore necessary and desirable to the sufferers of type 2 diabetes and the healthcare systems struggling to fund the cost of controlling the disease. Pharmacy has the tools, both in clinical expertise and in the proven, patient funded Lipotrim weight management programme, to reduce the burden of type 2 diabetes at no cost to the NHS. The ability of the participating pharmacies to log and audit the weight loss results, reducing and preventing obesity, allows pharmacy to not only prove the clinical outcomes but their worthiness of the title clinician. In these modern times it is often forgotten that many people are having limbs removed and ultimately dying from this easily treated, preventable disease. Pharmacy; Type 2 diabetes is in your hands if you choose to step up to the challenge. Contact our helpline today to register your interest in taking a direct clinical lead and help tackle type 2 diabetes. Type 2 diabetics; Your disease is in your hands. Take weight loss seriously. Contact Lipotrim to find the nearest Lipotrim Pharmacy to start the process of forcing away your type 2 diabetes. *Individual results will vary. Copyright © 2017-2019 HFR Ltd Reg 1932636. Powered by WordPress and Sliding Door theme.